You may already know that I LOVE oatmeal, but this takes my obsession to a whole new level. It is creamy, delicious, clean, & healthy! *This recipe makes 2 servings. Make the whole thing & share with the kids or refrigerate the second serving for the next morning. 1. Bring 2 cups of water to a rapid boil. 2. Add 2/3 cup old fashioned oats, stir well, & lower to medium heat. Cook oats approx. 8 mins., stirring frequently. 3. While oats cook whip 4 egg whites in a bowl until fluffy/ small bubbles form around the edges of the bowl. 4. Turn down heat to low & slowly pour in egg whites, little by little. 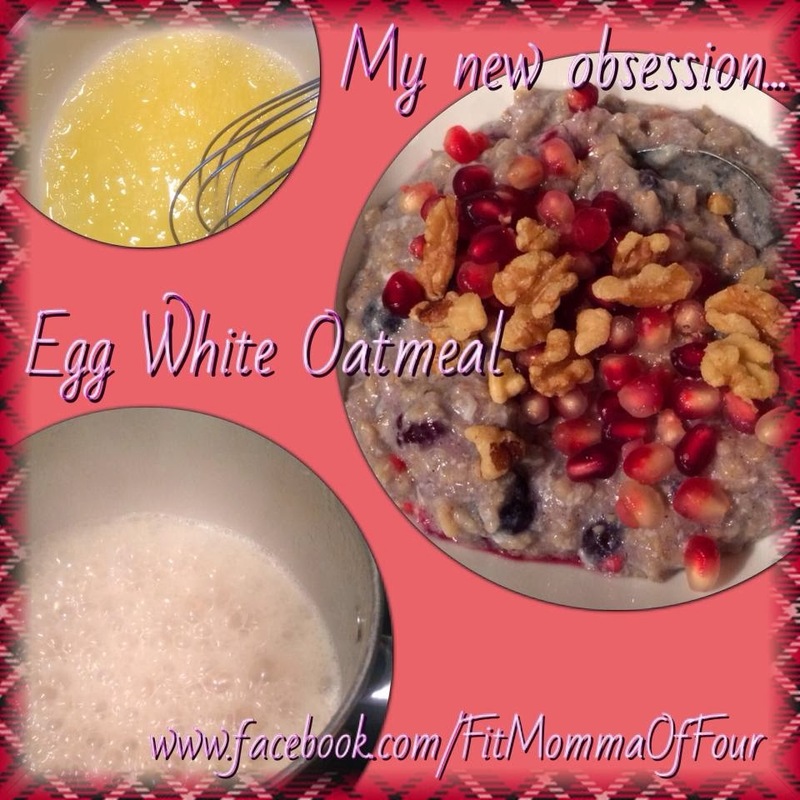 Stir oats & egg whites quickly until the oats look creamy, then add a little more egg whites. Continue to stir quickly until all egg whites are incorporated. 5. Remove pot from heat. Stir in 2 Tbls. pure maple syrup & 1/2 - 3/4 cup fruit of your choice. Here I added mixed berries. *Stir in a sprinkle of cinnamon if you like. I topped mine with pomegranate seeds & a few walnuts for crunch. ***Enjoy! Let me know what you think of this recipe. Please feel free to share.